You travel back in time – to the Valle Sagrado, as the locals call the Sacred Valley of the Incas. 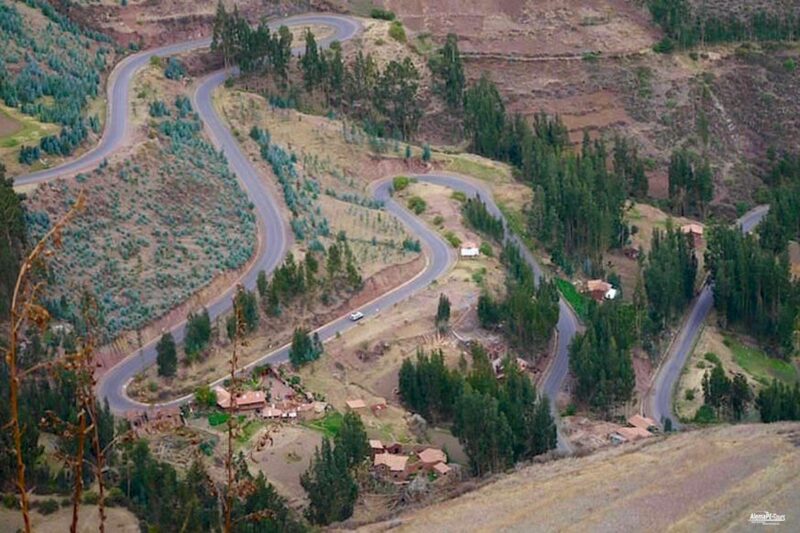 Drive your car or take a bus tour from Cusco to Pisac. In former times exchanges took place in this ancient city. In this trade, a commodity was exchanged for another commodity between the parties; alternatively, work was paid for. After visiting the ancient Inca fortress and the Inca cemetery, you will also have the opportunity to visit the market of Pisac and buy one or two beautiful handmade souvenirs. The Sacred Valley of the Incas is located between the picturesque colonial Cusco, the former capital of the Inca Empire, and the mystical citadel of Machu Picchu. It was worshiped by the Incas for its fertile soils. 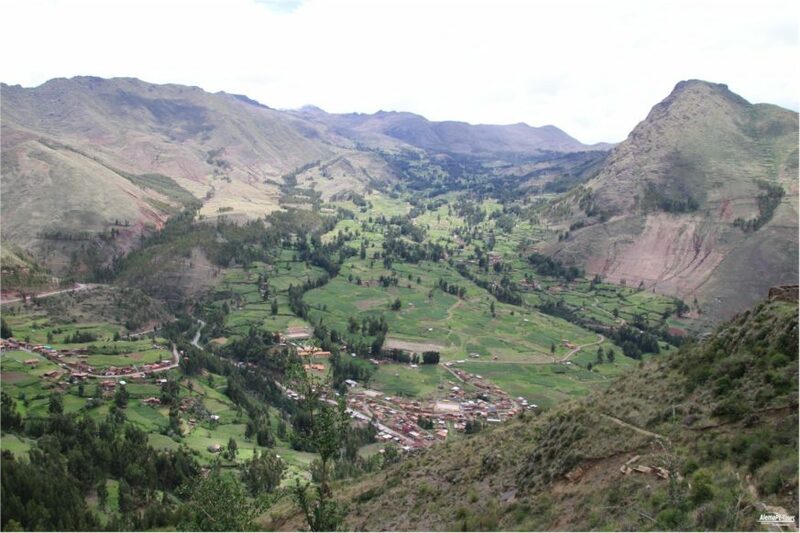 The Incas populated the valley and farmed up to highly scientific agricultural science. Even today you can find traces of the Inca everywhere in the valley. The valley on the Urubamba River is also a paradise for adrenaline-seeking adventure tourists and people who want to free themselves for a few days in the idyllic, small Andendörfchen from the hectic civilization. The most famous ruins, which are among the most visited attractions today, are the former fortresses of Pisac and Ollantaytambo. 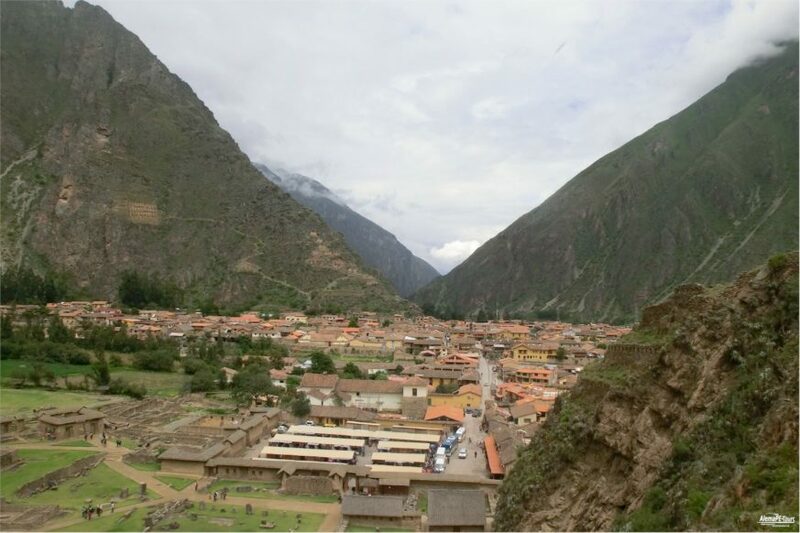 From Cusco, Pisac is the first stop on the tour of the Urubamba Valley for many travelers. The small village is best known for its market, where you can buy souvenirs at reasonable prices. The arts and crafts market is the country’s largest open-air market. High above the city and several steps away stands a fortress in the typical Incan style. Tons of heavy boulders that were stacked on each other without any binding. 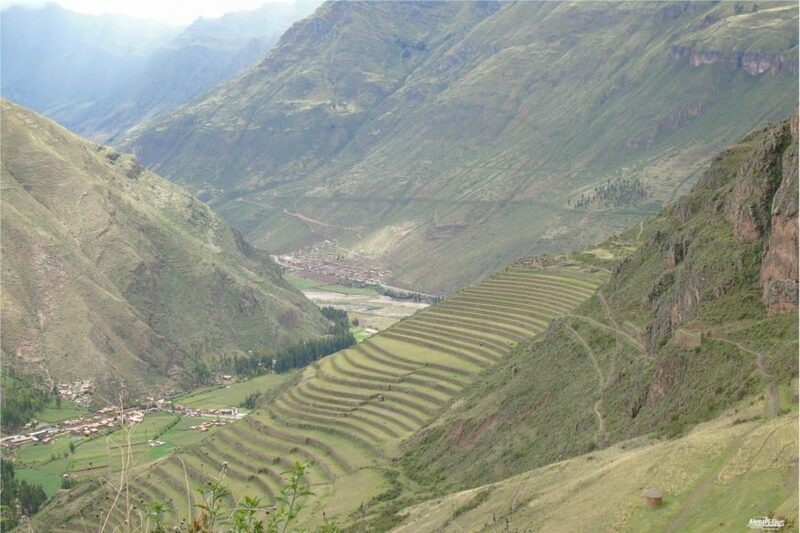 Another highlight of Pisac are the impressive terraces created by the Incas on the slopes of the mountains. Another popular place in the Valle Sagrado is Ollantaytambo. 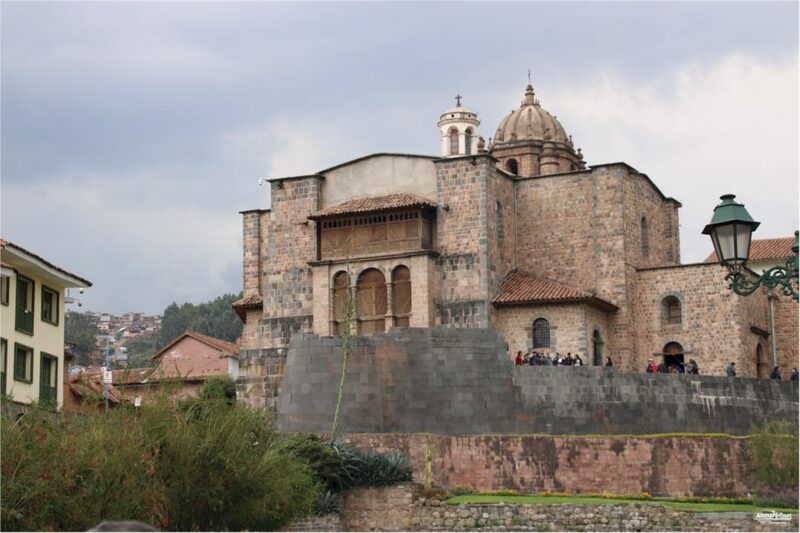 Here you will find another preserved Inca fortress, which was probably built around 1460 by the Inca Pachacutec. It is one of the few places where the Spaniards suffered a defeat. In 1537, the conquistadors were subject to Inca chief Manco Inca here in the Battle of Ollantaytambo. In the local biomuseum you get an insight into the biodeversity on the example of the potato, of which there are about 5,000 different varieties in Peru. Another interesting museum is the CATCCO, a small ethnographic museum that explores the history and culture of the people of the Urubamba Valley. Besides Ollantaytambo and Pisac, Maras is also an attractive destination for you on the way to Machu Picchu. The small idyllic village, the 3.300 m.ü.N.N. was once a recreation center for wealthy Incas. The Salinas de Maras, promote an exclusive salt that is appreciated worldwide. The terraced salt pools give a nice picture. In the period from May to August they are whiter than sont, but anytime they are worth a visit. Seven miles from Maras is Moray, a terraced terraced garden made up of several landscaped plantation zones that look like a Roman amphitheater. Moray was a kind of experimental laboratory of the Inca. Here you planted on a funnel-shaped terrace plant various plants. The different terraces have different microclimates. So they explored in which layers, which plants thrive best. However, the Urubamba Valley has more to offer than culture and architecture. Adventurous adventures among you can pass the time rafting in the raging Urubamba River, or trekking in various trekking tours on the safe shore to explore nature. In any case, the Sacred Valley of the Incas is worth a visit if you go on a trip to Peru.